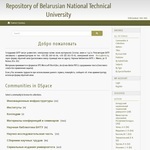 This site provides access to the research output of the institution. The interface is available in Russian and English. Users may set up RSS feeds to be alerted to new content.